I met Matt Linderman through the work of Apprenticeship to Jesus, a ministry of spiritual formation, community and mission, located in downtown Phoenix. He was interning at Andre House, a Catholic house of hospitality that serves the homeless. His journey home each day led him down 12th Avenue, the street where our prayer house was located, and he eventually began joining us in prayer. Matt began building friendship with our community and moved into our men's house, a guest house behind the prayer house, and became the first Roman Catholic to join our team. In fact, the impetus for this study came from Matt's willingness to let a group of mostly protestant evangelicals be confused by his sincere faith in Jesus. He endured many ignorant statements with a quiet grace and opened the door for us to more fully explore John 17 and Jesus' prayer for the unity of those who follow him. I have personally enjoyed Matt's friendship over the years. One memorable occasion came when I was reading Pope Francis' apostolic exhortation, Evangelii Gaudium, in 2013, and recommended he read it as well. He was blown away to later go to his priest and share that a Baptist minister was encouraging him to read the exhortation, before his own priest had. In 2015, Matt was able to join and participate in meetings related to the Wittenberg 2017 Initiative in Rome with a team from our community. We shared in powerful services of repentance and reconciliation at various locations, including St. Peter's Basilica and St. John's Lateran. Matt is also a gifted and talented videographer and I am grateful that he desires to share stories of reconciliation and unity. It has been a joy to grow in friendship and fellowship with him, and to have my own journey shared by a good friend, and Catholic brother. Thank you, Matt. Daniel is a licensed Southern Baptist minister he works with Antioch Network, an international fellowship of leaders and primarily serves on the leadership team of the ecumenical community, Apprenticeship to Jesus. 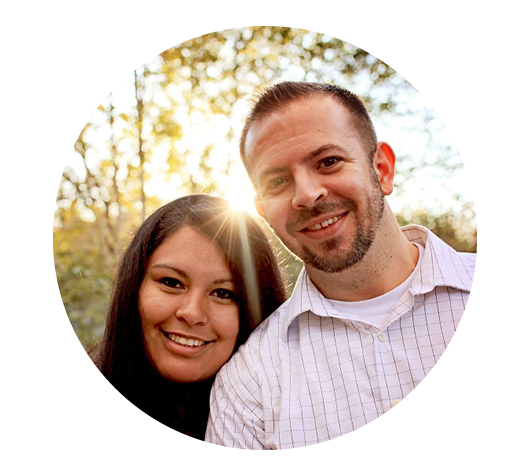 Residing in Phoenix with his wife, Evelynn, and their three children, Daniel is a licensed Southern Baptist minister. Receiving his Master’s of Divinity from Phoenix Seminary, when not teaching high school math and history, he works with Antioch Network, an international fellowship of leaders, primarily serving on the leadership team of the ecumenical community, Apprenticeship to Jesus. In 2009, Daniel was confronted with his own ignorance of church history and the prejudices and arrogance he held towards Christians from other traditions. This study is the culmination of a journey towards repentance, and an offering of personal contrition. Knowing the history of church divisions has helped Daniel and the Apprenticeship to Jesus community locate their own traditions more fully within the church and receive from other traditions. © 2016 Daniel Malakowsky / Antioch Network. All rights reserved.